Your website is the hub of your business presence and your social media destination. Our website solutions can build and strengthen your online presence and position you in your industry. After completing our inquiry form you’ll have a phone or in person meeting with web marketing strategist, Christine Green. She’ll learn about your business and discuss objectives for your site. She’ll help you reflect on where your business/organization is going and how an effective website can help you get there. You’ll approve the in-depth proposal and we’ll move on to the next step. During this phase, project director, Christine Green will dig in and review your current web presence. With an understanding of your company or organization, research about your industry and competitors, we’ll formulate your web marketing approach. We’ll develop the marketing concept and plan the initial layout and architecture. We’ll provide updates and involve you in decisions about look and feel. You cut us loose to begin the creative process. We handle your content development using the material you’ve provided. Our copywriters will compose and/or revise the written content for your site to serve the sales process. 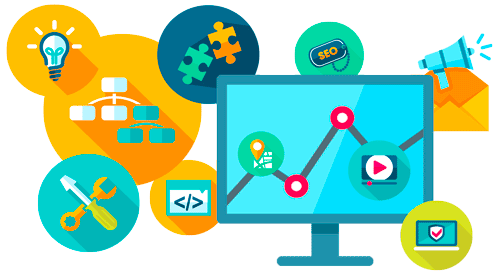 During this development stage, the initial layout design of your site may evolve as we generate even better ideas and more effective approaches for optimization. You’ll review the final version of your website and help us proofread it. We’ll make the final revisions and you’ll give us the green light. Your site will be migrated to your domain and will be launched. We’ll do the final testing to assure that it’s fully functioning as a live site. We’ll then assist you with any online marketing and lead capture strategies that were outlined in the original agreement. We work nationwide but appreciate our local clients in Amesbury and Newburyport, Massachusetts and Boston’s north shore.